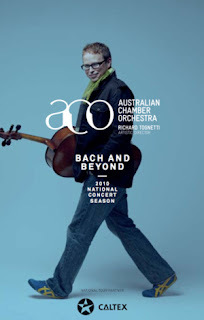 AUSTRALIAN CHAMBER ORCHESTRA present BACH AND BEYOND at Angel Place, Sydney. The concert featured the Orchestra with guest artists ; Sara Macliver, Soprano; Fiona Campbell, Mezzo Soprano; Andrew Staples, Tenor and Matthew Brook, Bass. The first half of the concert featured : Dimitri Shostakovich –Elegy and Polka. J.S. Bach – Missa Brevis in G minor BWV235. 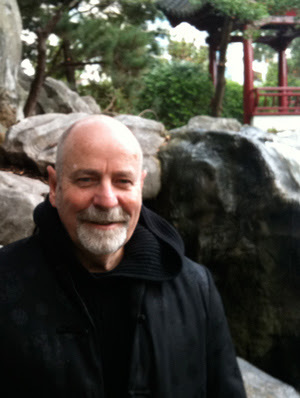 Arvo Part – Summa. Arnold Schoenberg – Litany from String Quartet No.2. The pieces were not played consecutively as listed, but rather the six parts of the Bach Mass were interleaved with the other works. Each piece was counterpointed in an unusual context that kept me fascinated with the differences and similarities of objectives and techniques of the musicians. It was an altogether stimulating experience. This contextual placement of old and new music is a familiar experience for me. Michael Tilson Thomas and his orchestra the San Francisco Symphony, has attracted and astounded me with similar learned connections at several of his concert performances. Mr Tognetti introduced with commentary his program order before playing, as does Mr Thomas, and it was an informative entrance for my appreciation to the pieces and added piquancy to the listening. The second half of the concert consisted of again J.S. Bach – Motet den Herrn BWV230. Diana Burrell – Das Meer, das so gross und weit ist, da wimmelt’s ohne Zahl, grosse und kleine Tiere. J.S. Bach – Cantata : Wo gehest du hin? BWV166. So much Bach. So much bliss on this night. The concert justified the statement in the program notes : “J.S. Bach is one of the greatest, if not the single greatest, of all composers.” The soloists were sublime in the rendering of their tasks. A very interesting essay in the program by Michael Stevens: ONE VOICE PER PART? offered much to consider about the way we hear Bach choral pieces. One voice per part seemed on this occasion a welcome and clarifying manner of performing the pieces, particularly the Missa Brevis, in the first half. The Diana Burrell piece was challenging, and on only one hearing, the least easy to appreciate. Not to say that I didn't love hearing it. Another great night in a concert hall from the ACO.